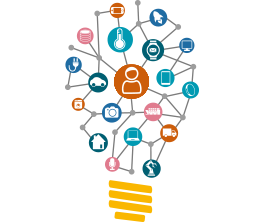 The development of the internet in which everyday objects – cell phones, wearable devices, cars, washing machines, refrigerators – are connected so that they can send and receive information from each other is known as the internet of things. The internet of things has the capacity to change the way we live and work. In addition to security implications, as the internet of things is based on the autonomous collection of data by machines, it also raises privacy concerns.